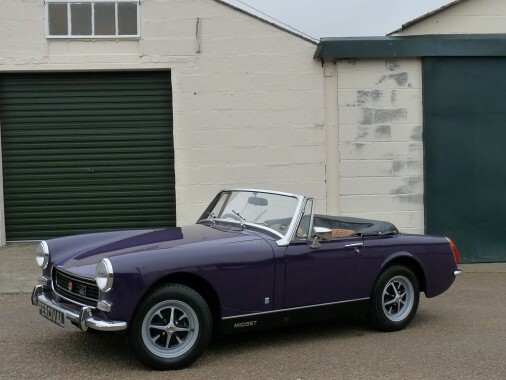 In Aconite Purple with tan interior and black weather gear. Showing only 68,000 miles with MOTs back to 1978, this pretty Round Wheel Arch Midget has only had four owners since new. It is in very good structural and mechanical condition with a very sweet engine and gearbox, excellent bodywork including the A posts and floorpan, and good paintwork. The interior is superb and the MG drives well. The Midget is Tax Exempt.